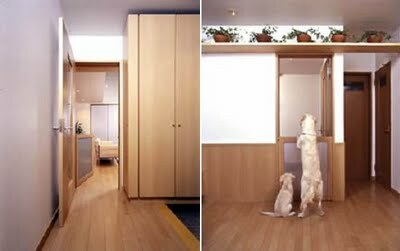 If you have never owned a dog before, or it has been some time since you had a dog in your life, you may need to make some modifications to your home and yard to keep your new pet safe. You may also need to buy a few items so you have everything your new family member needs, before he arrives. Window Coverings. Look at your window coverings, and take stock of any potential hazards. Long cords may be a strangulation risk, and I know from personal experience that dogs can get tangled in vertical blinds. Those ornate tassels that look so good on your curtains are just asking to be played with! Furniture. If your dog is going to be welcomed on the furniture, you may want to use a throw or slipcover to protect the fabric. Make sure the throw is made of a washable fabric so it’s easy to launder. Long toenails can scratch leather or vinyl furniture, so keep your dog’s nails well manicured. On the other hand, if your dog won’t be allowed on the couch with you, give him a soft bed that he can call his own. It too should be machine washable. Floor Covering. Give some thought to purchasing some inexpensive rugs for the floor until your new dog is toilet trained. They may not match your decor, but they can protect your carpet from soiling. You can throw the rugs away when you don’t need them. Children. If you have young children, keep their toys well out of reach of your dog. Small toys can cause intestinal obstructions if they are swallowed. I have known many teddy bears that have lost and eye when left within reach of an enthusiastic dog. Start reminding your children that they need to be tidy, for the sake of the dog and their toys. Chemicals. Make sure any household chemicals such as cleaning products, fertilizers, and mouse baits are well out of reach. Some dogs like to chew, and if they decide to chew on these, they may become very sick. Also beware that some foods such as chocolate can be dangerous to dogs, so you want to remove all those candy bowls you have around the house. Your dog and your waist line will thank you. Even indoors dogs enjoy a romp in the yard, and the most important thing to check is that your fence is secure. The fence should be high enough so that your new dog won’t be able to jump over it. Make sure that you also walk around the fence and repair any sports where the dog may dig underneath and escape. It’s a good idea to put some chicken wire around the bottom of your fence, and bury the edge inwards. This can help prevent any attempts at escape. If possible also secure the front yard, some dogs have a tendency to bold whenever that front door is opened. There are some things your dog can’t do without, and it’s important that you plan ahead and have these ready for him when he comes home. Here are the essentials you should purchase for your new dog. Leash. A six foot leash is a good size. It should be soft and flexible, and comfortable in your hand. Make sure the clip is secure and easy for you to open and close. Don’t get me started on flexileashes, if you don’t understand why it is a bad idea you may want to think about adopting a gold fish. Collard and ID Tag. You don’t be able to purchase a collar and tag for your until you have chosen your new pet. However, do plan on buying both before you pick him up from the shelter. Bowls for Food and Water. Metal bowls and plastic bowls are the most popular, and are very durable. Ceramic bowls are available in many designs and are often more attractive. The drawbacks are that they are usually more expensive, and they break easily. Bed. 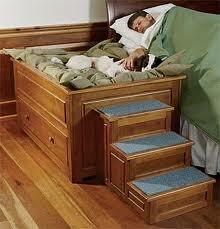 There are so many options when it comes to choosing a bed for your dog. If your dog lives indoors, you may prefer a soft comfortable beanbag or a fluffy cushion for his bed. Outdoor beds need to be more weatherproof, so they may not be as luxurious. 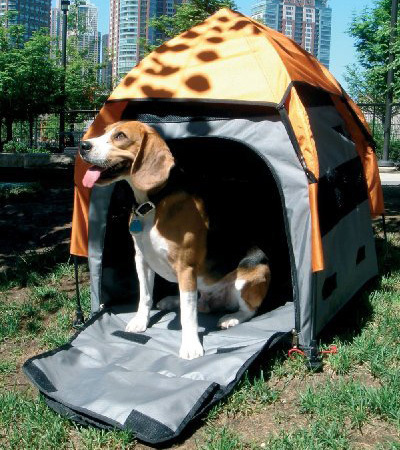 A metal frame bed with vinyl will last better in sunshine and rain, and still keep your dog off the hard ground. Crate. Create training is a great way to create a secure spot for your dogs and ease them into home life. Their crate will become the dog’s den, a place where he can have a break from the hustle and bustle of a busy household. It’s also very helpful in toilet training him. When you choose a crate, make sure it’s not too heavy, so you can easily move it to clean underneath. Also, the tray in the bottom should be removable for the same reason. It should be large enough so your dog can comfortably stand up, turn around and lie down. Put a soft bed in the crate so your dog is comfortable. Brush and shampoo. How much grooming your dog will need depends on the length of his coat. Even the shortest coat will look better after being brushed. At the very least, buy a brush that will remove any loose or dead hair. If your dog has a longer coat, you may need a coat stripper as well. Choose a shampoo that is mild and soap free, so it doesn’t strip the oils from your dog’s coat. Food. You may have a preferred food you’d like to feed your dog, but make sure you also have the same food that he is being fed in the shelter. Initially, feed him just the shelter food and each day, reduce the amount of shelter food in his bowl and increase the amount of the new food. It should take a week or so completely change his diet. This will prevent diarrhea associated with suddenly feeding him a different food. Toys. Whether it be tug toys, balls or squeaky animals, dogs love to play with toys. Choose a variety, because until you have him home, you won’t know his preferences. Make sure the toys you choose are strong enough to resist being played with; your choice will depend on the size and strength of your new dog. Also take a look at some puzzle-type toys that will mentally engage your dog. A toys that will exercise the brain is a great distraction if you need to leave the dog alone at home unsupervised for extended periods of time. If you don’t already take your pets to a veterinary clinic, spend some time choosing a veterinarian for your dog. Ask for referrals from friends and neighbors, and make arrangements to go and meet the staff. Remember, this is the person you are trusting with the care of your best friend, and you have to be totally comfortable with your choice. 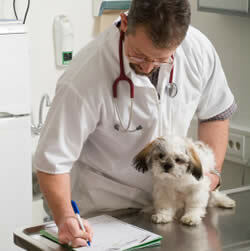 Make an appointment for your new dog to visit your veterinarian within a week of him coming home. She will make sure that your dog is in good health, and discuss any needed vaccinations, flea medications or worm treatment. Take this opportunity to ask any questions you may have about dog care. Learn the route to your vet and nearest 24 hour emergency clinic. Program both numbers and addresses into your cell phone, and your GPS. If you are ever unfortunate enough to have an emergency you will be glad that all that information is available at your fingertips. Make sure all family member have this information. Dogs learn best by repetition and consistency. They need to know their boundaries, it makes them feel secure. Sit down with your family before you bring your dog home, and lay out the ground rules. 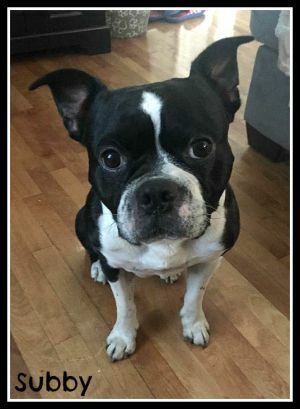 You must agree on whether any parts of the house are out of bounds, if your dog is allowed on the furniture, and if he can be given food scraps from the table. If he’s not allowed on the couch, but Mom sneaks him up when nobody is looking, he will up feeling confused. Work out who is responsible for feeding, bathing and exercising your new dog. Find out where and when the local obedience classes are, so you can start training your new dog as soon as he has settled in. You’re much more likely to enjoy your dog if he’s well mannered, and regular training is the best way to achieve this. It will be a busy and exiting time when your new dog comes home fro the first time. If you are well prepared, you can fully enjoy his arrival, knowing he will have everything he needs to be healthy and happy.